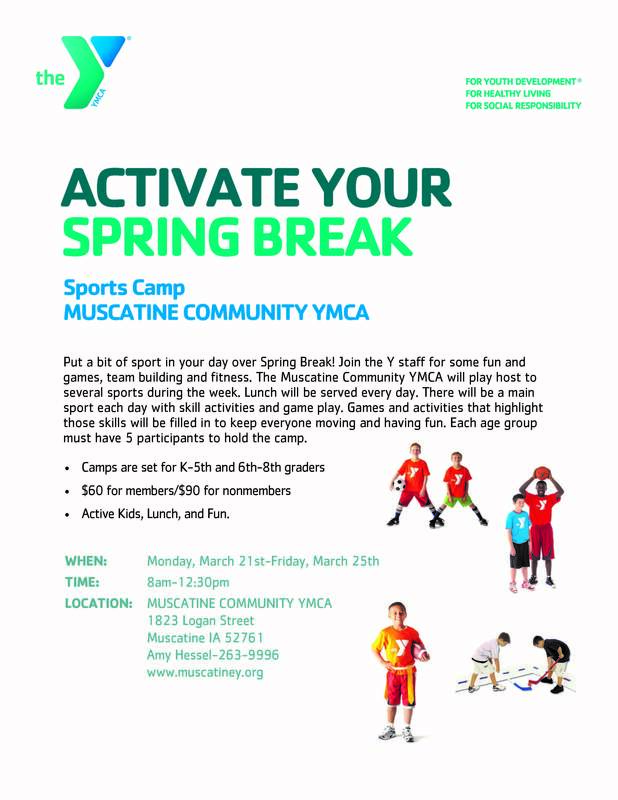 There is no time for sitting at home over Spring Break, rather join the Y for Spring Break Sports Camp! K-5th and 6th-8th grade age groups. Camp runs from 8am to 12:30pm with lunch! Each day is a new sport and activities! 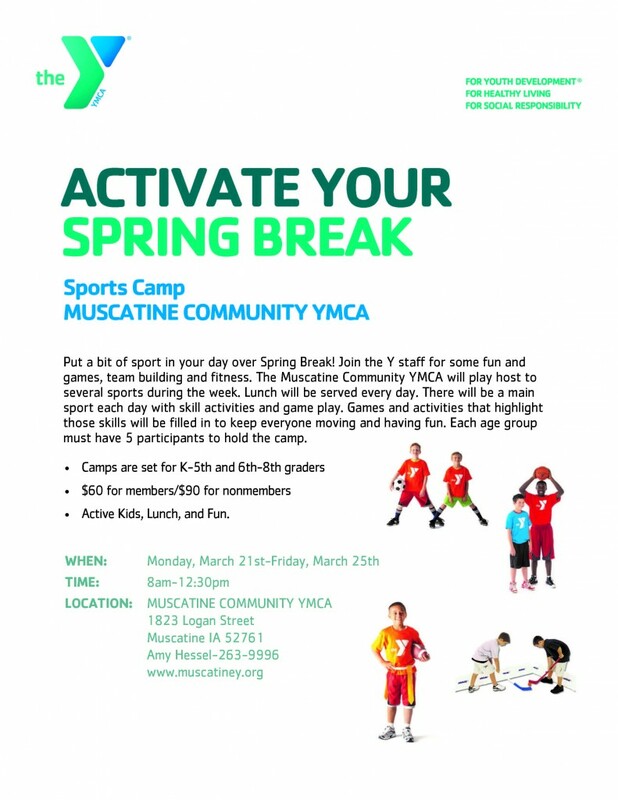 Register at the YMCA today, $60 for members and $90 for nonmembers! For more information contact Amy Hessel at 563-263-9996.